You buckle them into car seats, make sure they wear a helmet when riding their bikes and keep a first-aid kit on hand always. As a parent, you do everything you can to guard your children’s physical safety, but do you know how to protect them from identity theft? How Common Is Child Identity Theft? Over 15,000 of the identity theft complaints to the Federal Trade Commission in 2016 affected children and teens (anyone age 19 and under), which represents 4% of all identity theft complaints for the year. 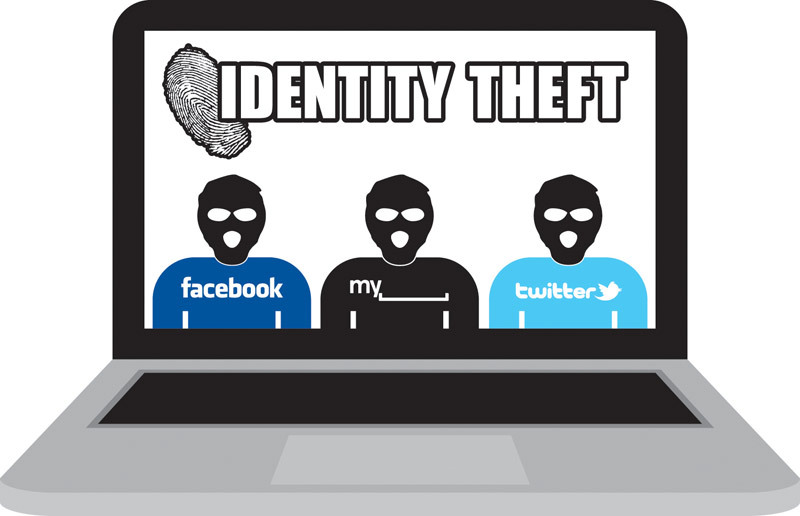 The Identity Theft Resource Center, which tracks identity theft and data breach statistics, also reports that 4.4% of the identity theft victim calls they received last year involved child identity theft. While child identity theft accounts for a small portion of all fraud and identity theft, it can still be extremely damaging, especially when it goes unnoticed. Identity thieves can cause extensive damage to a child’s credit for years before their crime is detected. Experian® handles 25,000-30,000 fraud cases each year and approximately 17% were targeted at children. According to Michael Bruemmer, Vice President of Consumer Protection for Experian, child identity fraud or theft will affect 25% of kids before turning 18. Why Do Identity Thieves Target Kids? Children can be seen as a treasure trove for identity thieves. Because they don’t pay bills, take out loans or hold credit cards, children’s credit histories are clean slates that identity thieves can exploit. Identity thieves also know that parents and guardians often don’t think to monitor their children’s identities or credit files. Many parents don’t discover their children have been the victims of identity theft until the child has to use his or her Social Security number for the first time, such as on college financial aid applications, or when applying for a first summer job or credit card. Anything identity thieves can do with an adult’s personal identifying information, they can also do with a child’s information. For example, they may open credit cards, mortgages, auto loans or other lines of credit in the child’s name. They may use the child’s information to open utility accounts or commit fraud on government, tax, health or employment forms. Criminals may use a child’s identity to conceal their own in order to avoid arrest or prosecution. Because child identity theft can go undetected for so long, it can be very difficult to clear up the problems it causes. While identity thieves are creative and motivated, parents and guardians still can do a lot to reduce the risk of their child becoming a victim of identity theft. Protect your child’s Social Security number. Never share it with anyone who doesn’t have a very good reason for having it. For example, your accountant needs your son’s number if you’re declaring him as a dependent on your tax return, but the softball team he plays for doesn’t need it as identification. It’s always okay to ask for clarification on why your child’s (or your) Social Security number is needed before sharing it. Many times, it’s not actually necessary. Never carry your child’s Social Security card, just as you shouldn’t carry yours around. Memorize the number and keep the card stored in a secure place. Monitor your child’s personal information. Unrecognized activity involving your child’s email address, phone number, bank accounts or other personal information can be a signal that information has been compromised. Although a phone number may seem innocuous, identity thieves can use your child’s phone number to get access to accounts. Many companies use a phone number for identity verification. Caller ID spoofing allows identity thieves to make your child’s phone number appear when they call one of these companies. They also use automated callers (hoping to get your child to type in or record information), and some are brave enough to impersonate institutions and call your child directly. Use your own information whenever possible. Parents often share information about their kids without thinking about it. For example, your daughter wants to enroll in a gaming store’s rewards club, and you open the account in her name. While organizations are likely not purposely misusing the information, it’s possible their data, including your child’s information, could be stolen or misused. Protect your child’s personal information by using your own instead, whenever possible. Avoid oversharing on social media. Social media has become a great way to keep far-off friends and family up to date on what your child is doing. But identity thieves also know social media can be a source of useful information. Avoid sharing personal information about your child on social media with anyone other than people you know personally. Monitor your child’s social media and online activity. You may want to reconsider or do more research before you allow a minor child to have a social media account in his or her real name. It’s also important to closely monitor your child’s social media use to ensure you know who he or she is talking to and what they’re sharing online. Keep your home safe. A break-in could net burglars more than just your physical valuables if important documents like birth certificates and Social Security cards are unsecured in your home. Always lock doors and windows, set the alarm if you have one, and keep valuable documents in a safe or another secure, locked location. Fireproof safes that lock are good ways to keep information protected from various threats. Teach your children well. It’s important for kids to understand identity theft risks. Find age-appropriate ways to talk to children about the topic. You probably already do without even realizing it. For example, telling your young child not to talk to strangers includes her understanding not to tell them her name. Your child receives offers for pre-approved credit cards. You receive bills in your child’s name. A collection notice arrives with your child’s name on it. Your application for government benefits for your child is refused because benefits are already being paid out to someone using your child’s Social Security number. You receive a letter from the IRS saying your child owes taxes. Be aware, however, that any phone call from someone claiming to be with the IRS is almost certainly fraudulent. The IRS communicates with taxpayers by U.S. mail only. If you suspect your child is a victim of identity theft, your first step should be to check his or her credit file. Contact Experian to find out if a credit report already exists in your child’s name—there shouldn’t be one. If a credit report exists, you can investigate options like a credit freeze. Experian has more resources on fraud and identity theft to help you and your family stay informed. Notify the credit reporting agencies that fraud has occurred on your child’s file and ask them to investigate. Notify the business or financial institution that issued the credit or loan. Let them know the account was fraudulently opened in the name of your minor child. Ask them to investigate. File a police report with your local law enforcement agency. File a fraud report with the FTC online or by calling 877-438-4338. Child identity theft can be a scary crime for parents to face, but with some vigilance and preventive steps, it’s possible to reduce the risk your child will become a victim of identity thieves. Ellen Sirull is senior manager of content at Experian Consumer Services, a division of Experian, the nation’s largest credit bureau. In her role, she helps consumers learn about credit, personal finance and identity theft protection.